The future of learning and work looks like this: experimenting on the job, staying true to a larger vision, and becoming a better version of yourself. While traditional industries are being disrupted by technology, nascent industries like programming, e-commerce and extreme sports are revolutionising the way we think about work. 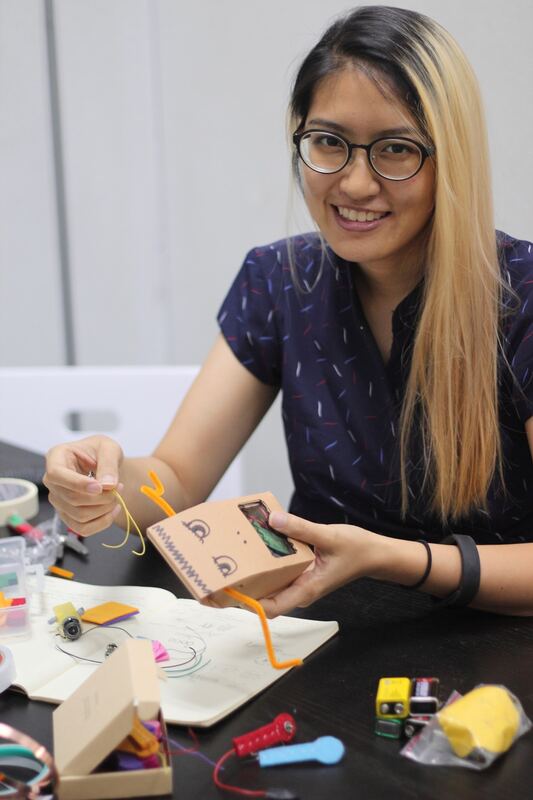 As a programming maven in a predominantly male-dominated industry, Sarah Ho, a Tinkerer at Tinkercademy, does not consider herself a female entrepreneur. “I think an entrepreneur really encompasses a lot more than being a rare pokemon,” begins the girl-next-door in an email interview. “To all the entrepreneurs creating products, dealing with customers, crunching numbers and leading their teams all at the same time – mad respect,” she continues in millennial-friendly lingo. Yet, the interaction design graduate helps the coding academy come up with or finish random projects, is a general purpose all-abouter and tries to keep the office organised. Wearing a few hats at once, we dig deeper into Sarah’s mindset, becoming a trailblazer in the programming industry. Doyenne.sg: What does it take to become a trailblazer in programming? Sarah: There are several nascent fields in the industry now. AI, virtual reality, blockchain, are a few. The field being so unexplored and non-traditional gives people opportunities to do something new and work on groundbreaking projects. Many people are trailblazers in their own right. Since pioneer work always involves something new, I say keep learning and creating. Interest in your work really helps in any situation! When you are interested in your work, learning and creating gets easier. It might come more naturally, because you’re always trying to do things better. Otherwise, do it intentionally! D: What keeps you going at Tinkercademy? S: I get to do a lot of different things! Since I’m easily distracted, this means I’m still working, as opposed to getting fired. My colleagues here are a big part too. It helps when you are surrounded by intelligent, creative people who are always willing to teach and share. Personally, it is inspiring and motivating to be around other people who are actively making new things. D: How do you marry art and technology into programming? S: Just make beautiful things. Programming, in its essence, is about creating. I believe most people are born with an innate sense of aesthetic, though what I think is beauty might not be your idea of beauty. Whatever you create through programming, make sure it conforms to your idea of beauty. Of course, there is a lot more to art than pure aesthetic, and I always believe there is a message in anything we call art. So the second layer is having a story and specific intention to what you create. Programming is simply a means to create. D: How can we help the young generation get better at programming in Singapore? S: Show them it’s not scary. Programming is not just for geniuses and geeks. The young generation can be inspired to make and see that they can do things by programming software, hardware, and everything in between. When they see that it actually makes a difference, that’s when they keep doing that something. This kind of empowerment is better than just making sure the young generation is good at something by drilling it in. More than just an international shopping platform, ezbuy are engineers of Easy. Founded in 2010 by a group of aspiring entrepreneurs who had the single mindset to bring quality products in a convenient way to the locals via their platform, ezbuy had recently completed their pre-Series C funding. Over USD 17 million was raised to offer quicker and more reliable modes of localised services to customers, as well as to expand into other countries outside of Southeast Asia. 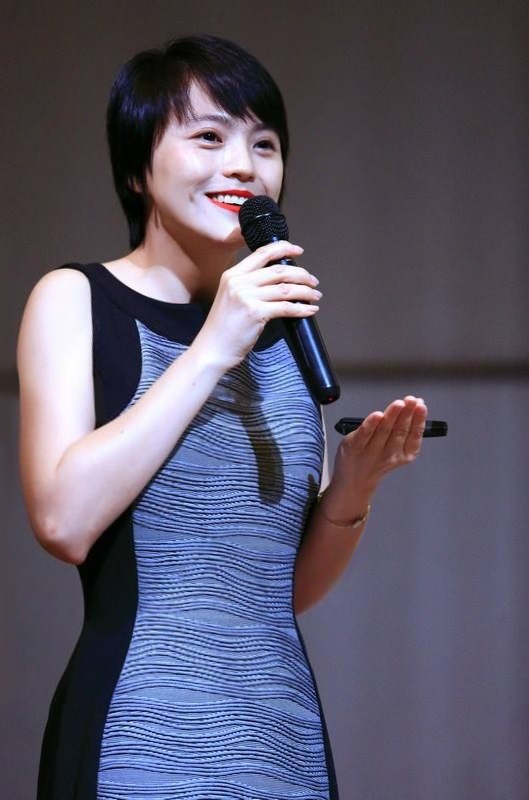 Wendy Liu, Co-Founder and CEO at ezbuy, shares with Doyenne.sg the mindset that helps to revolutionise the e-commerce industry in more ways than one. Doyenne.sg: What does it take to become a trailblazer in the e-commerce industry? Wendy: It boils down to questioning the status quo and challenging assumptions. The world is evolving so fast, I think it is all about how we can stay hungry and have the eagerness to learn new things. ezbuy didn’t come easy. We literally started from nothing, in one of my co-founders’ apartment. Fast forward to today, we have more than three million loyal fans, and 10 thousand sellers across six marketplaces. We look forward to taking a step further. To become bigger, better and ultimately, staying true to our founding vision of bringing the world to our customers. D: Why did you become a female entrepreneur? W: During my university days, I found business and e-commerce related modules to be more interesting than engineering subjects. I understood the concept behind the convenience and savings consumers enjoyed from online shopping. I was also impressed by the unlimited product varieties e-commerce platforms in China offered. I knew there was potential to revamp and enhance the industry in so many ways. When my friend, currently the co-founder of ezbuy, He Jian, came to me with the idea of creating the same level of convenience and efficiency for Southeast Asia, I couldn’t say no! D: How do you marry the science of e-commerce with the fun side of shopping? W: By offering the widest variety of products, the best prices in the market, and a hassle-free shopping experience, e-commerce has gotten easier today. When we started in 2010, it was difficult for consumers to make online purchases. There was no other local payment gateways or digital wallet, except for Paypal. Home delivery at night or over the weekends could easily go up to SGD30 to SGD50. To shop from overseas, one would need to figure out the local language, whether the shipping cost was worthy, and finally, wait for the parcel to arrive. Our first challenge was to simplify this process, covering everything from pre-sale to after-sale. We also wanted to provide consumers with a fast and smooth shopping experience. Keeping things exciting, bringing access to millions of quality products and offering enhanced shopping experiences are some ways we’ve learned to balance work and play, for both our customers and all of us at ezbuy. D: How does ezbuy increase the e-commerce industry’s vibrancy? W: As a pioneer in the industry, the definition of e-commerce has evolved. It is no longer as simple as before. Today, we consider numerous other factors as part of the overall e-commerce discussion. This includes product offerings, customer service, social media engagement, logistics, delivery, payment models and more. Needless to say, harnessing technology revolutionizes retail and drives the growth of the e-commerce industry. It has helped businesses streamline operations, increase efficiency, save costs and evidently, offer consumers an enhanced shopping experience within a few clicks. Businesses are also able to create stronger connections with consumers, by accessing data such as purchase and browsing history, interests, location, and more. Using these data, ezbuy can target product suggestions and promotional deals to specific users, allowing for a greater customer experience and increased sales. 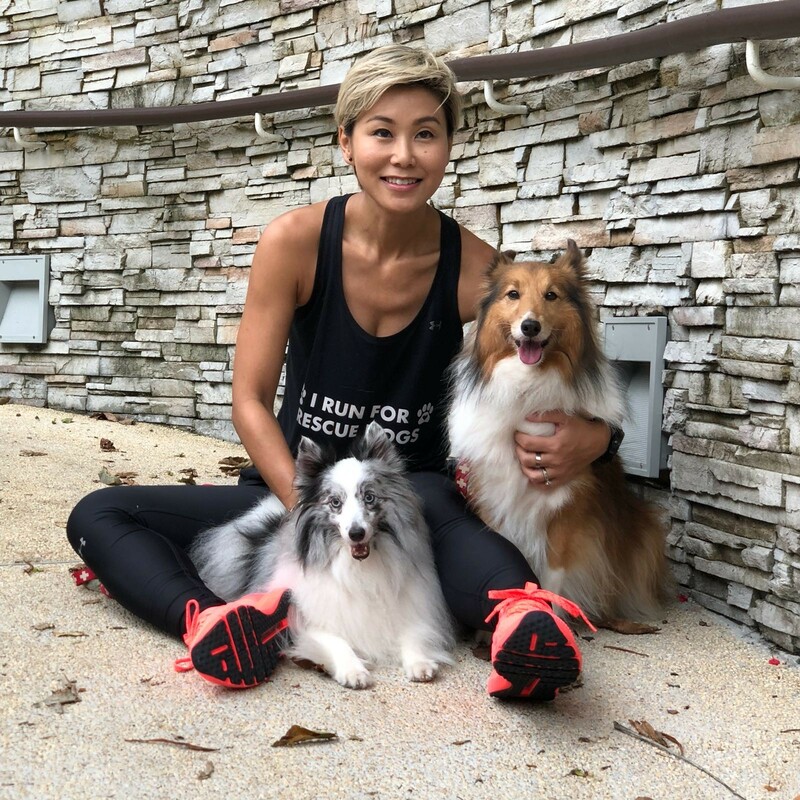 When it comes to running for rescue dogs, as well as promoting trail running to the general public, Marie Choo, an Under Armour brand athlete, is a trailblazer. The former Marketing and PR professional in the fashion industry is now a fitness lover and certified dog trainer, using positive and motivational techniques to correct undesired dog behaviour. In 2014, Marie started running to seek clarity and build a healthier lifestyle. Less than a year after her first 2km run, Marie completed the Tokyo Marathon in five hours and 58 minutes. She also begun running ultra-marathons around the world. How did Marie become a better version of herself? Doyenne.sg: What does it take to become a female trailblazer in the ultra-marathon circuit? Marie: In the conventional sense, I am not the first female in Singapore’s trail running community. However, I can consider myself to be the first to combine my love for trails and dogs. As a recreational runner who started running at the unconventional age of 38, I wanted to advocate that it is never too old, too late, too weak to start your fitness journey. I am fitter now at 42, than I was in my 20s. My friends were amazed by my transformation, from a highly stressed urbanite who lived a sedentary life, to a fit, outdoor-loving trail runner. I think my fitness journey has given hope to them that they too can attempt to achieve their own fitness goals. D: How does Under Armour’s global women’s campaign, I WILl WHAT I WANT, relate to what you do? M: I started out not being able to run 2km. I have since gone on to ultra trail marathons, running 50km and 100km races on trails and in the mountains. My fitness journey is a living example of I WILL WHAT I WANT. When I want something enough, I will do what I need to achieve it. My hashtag is #I_M_POSSIBLE. D: Why run for rescue dogs? M: Giving back to society and paying it forward is something I believe in. In fact, I have always loved dogs. Volunteering at the dog shelters inspired me to pursue my studies in dog behaviour and training. It is not rocket science, but requires knowledge and a keen sense of observation. It also requires a calm, patient and steady personality to communicate to the dog, and motivate it with food treats and praises to demonstrate desired behaviours. Over time, I realised that my meagre donation and volunteering work wouldn’t help all dogs on a big scale, but I could use my marketing skills to raise awareness and funds to help more dogs. With that, I started a ‘I RUN FOR RESCUE DOGS’ campaign. To be able to be the voice for voiceless animals, creating awareness and change, means a lot to me. In Singapore, dog shelters house over 200 rescue dogs. They do not receive any funding from the government. Instead, they rely solely on public goodwill to provide refuge and food for less fortunate dogs. D: Describe the impact Under Armour is trying to achieve in the next five years. M: As Tom Ford famously said, “Dressing well is a form of good manners”. Under Armour is a brand that supports the underdogs as much as they do for the top dogs. It is not about how fast you run, how strong you are, or how famous you are. It is about your attitude, your mindset. It is about #IWILLWHATIWANT. Under Armour’s meteoric rise in the sportswear industry can be credited to the fact that its product offerings marry functionality with an aesthetic flair. Its international campaigns have featured underdogs who went on to become top dogs, such as The Rock and Misty Copeland. Working with athletes from different sporting disciplines lets Under Armour create a positive, inspiring impact. They all had their struggles before they got to where they are today. My ordinary story of running for rescue dogs has also created a bigger ripple effect. I am glad to get more exposure for the cause, which has helped to reach out to more people who were previously unaware of dog welfare and fitness.